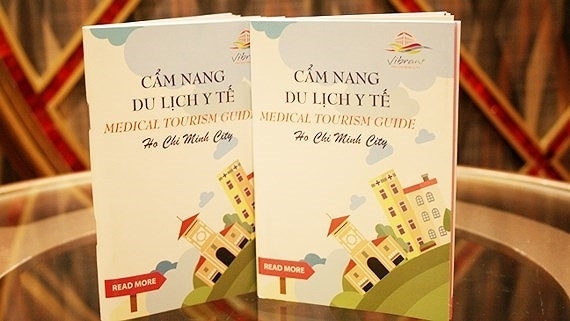 The Ho Chi Minh City Department of Tourism and Department of Health has released a bilingual Medical Tourism Guide with basic information about travel and healthcare in the city. The guidebook in Vietnamese and English has the names, addresses and phone numbers of 14 health facilities in the city, including the HCM City Heart Institute, Dermato-Venereology Hospital, HCM City Paediatrics Hospital, Odonto-Maxillo-Facial Hospital, Otalaryngology Hospital, University Medical Centre, Traditional Medicine Institute, Tu Du Hospital, Hoan My Hospital, and HCM City International Hospital. Ten thousand copies will be distributed to tourist information and support centers, travel agents, hotels, and hospitals in the city. 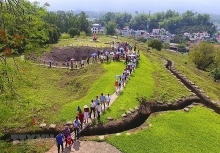 The health facilities registered to be listed in the guidebook and were chosen after meeting the 24 criteria stipulated by the Department of Health related to facilities, medical staff, check-up and treatment, and prices, Nguyen Thi Huynh Mai, chief of the Department of Health office, said. With a number of quality public and private hospitals, capable doctors, and low cost of treatment, the city’s hospitals have attracted a large number of international visitors coming for healthcare, she said. Many hospitals offer advanced treatment in areas like organ transplant, robotic surgery, cardiovascular surgery, endoscopic surgery, obstetric and gynecological diseases, dentistry, and others. Nguyen Thi Anh Hoa, deputy director of the Department of Tourism, said the city’s medical tourism potential remains untapped. To fulfill the potential, the two departments have cooperated to promote medical tourism and the guidebook is part of that cooperation, she said, adding that the city would focus on promoting medical tourism in neighboring markets such as Cambodia and Laos and to overseas Vietnamese. 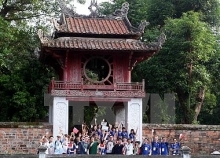 Last year, Vietnam attracted around 80,000 foreign tourists who came for health checks and treatment and spent US$2 billion. In HCM City almost 40,000 foreign tourists received medical services costing US$1 billion.